You might recall this previous article which talks about the fact that the real source of my edge is not my strategy, but rather it's me. The knowledge, the skill and the attitude which I bring to the market each day. I'd like to touch on a part of this edge today and then again in a followup article next week. In particular just one simple idea. The fact that PATIENCE plays a key role in this game. 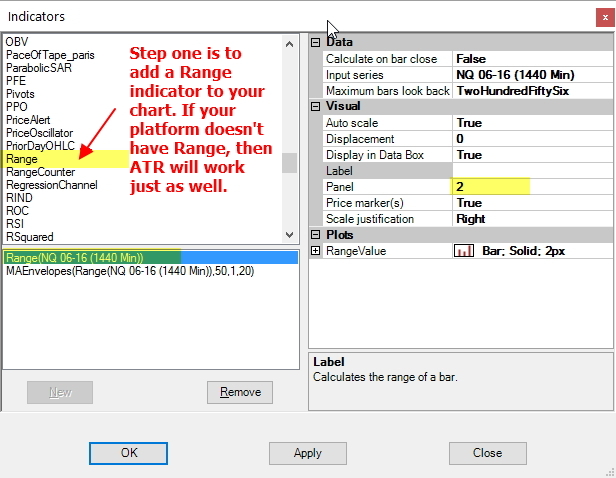 A key component of my edge is in recognising and accepting that I do NOT have to trade every price sequence. The same applies to you. 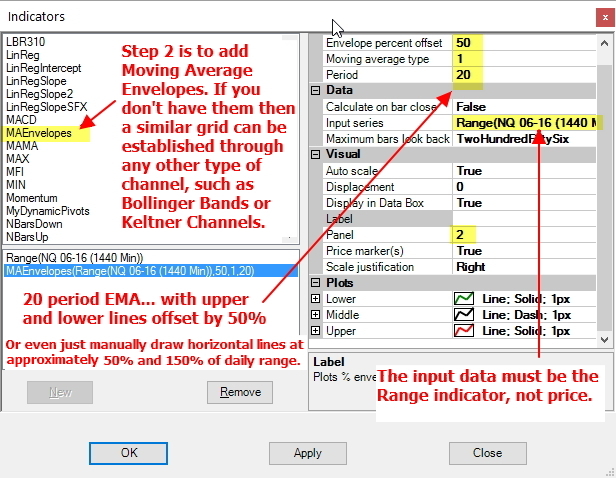 You do NOT have to trade every price sequence. 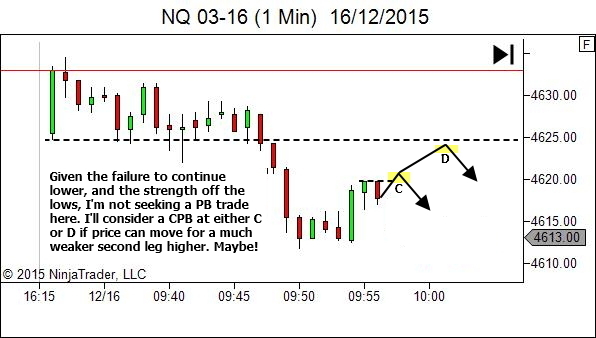 When the bias is unclear, stand aside or trade another market. 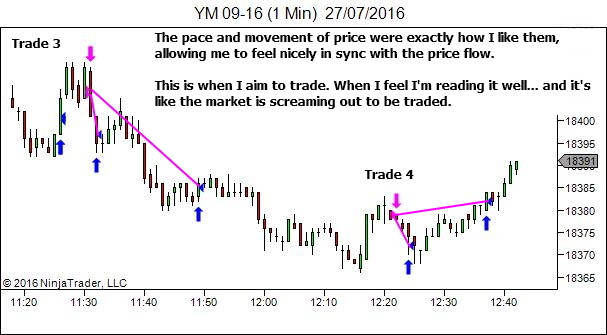 When the pace of price flow is too fast or too slow for your liking, stand aside or trade another market. 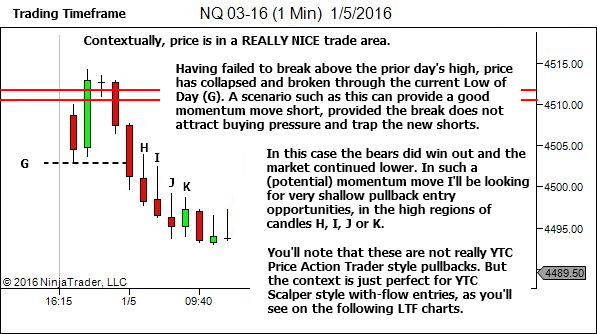 When the price action is choppy rather than flowing smoothly, stand aside or trade another market. The game is hard enough. Don't make it any more difficult than it needs to be. Remain focused. Remain alert. But remain patient. Watch and wait. If it's not right, stand aside. And when it is right, when it's screaming out to be traded, attack and destroy that opportunity. 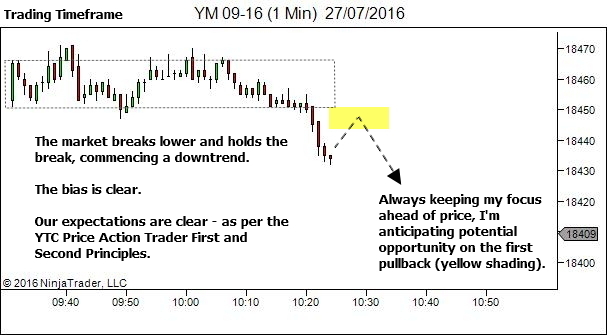 For the lower timeframe view, let's use the YTC Scalper templates for a change. I don't do that often enough. 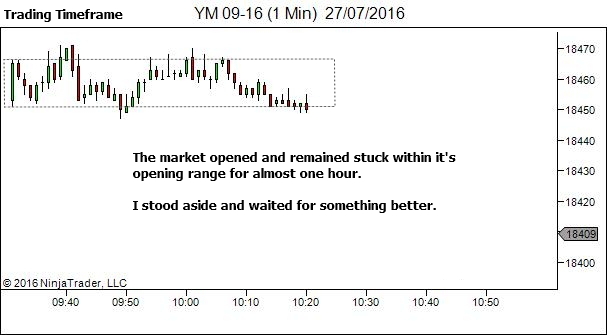 The reasoning behind timing of the entries should be obvious to anyone who uses this variation of the YTC lower timeframes. 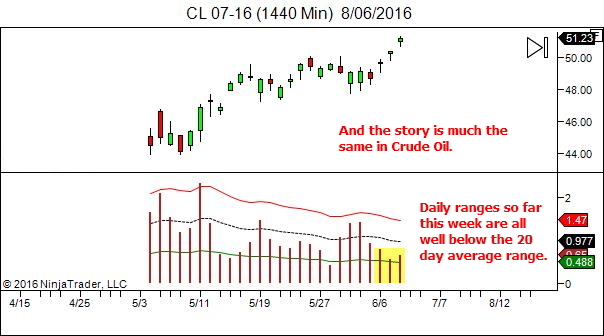 On Thursday morning I woke to find two emails somewhat related to the same topic – the challenging trading conditions we've experienced so far this week. So my first thoughts were to expand upon a topic I shared via social media a bit over a week ago. Because I know that only a small fraction of you receive my social media posts. 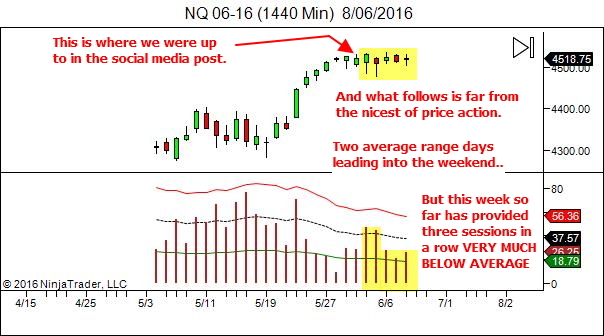 Here's the post which shows the daily chart for NQ as at the 1st of June. The same concept applies for ANY market. Let's first talk about what is showing in the bottom half of the image. And then we'll get to "what it means". And it gives an immediate comparison of the current days range versus the average over the last month. 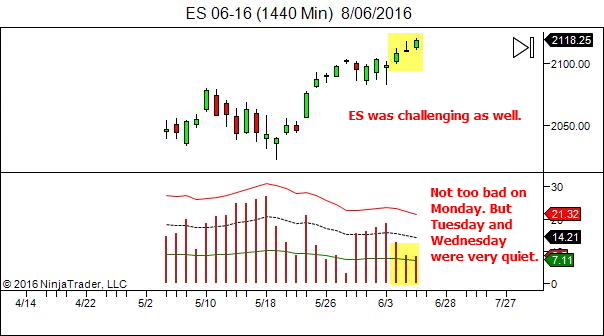 So let's see exactly what prompted the email concern over challenging trading conditions. The emails related to ES and CL, but I'll start by updating the earlier social media post. 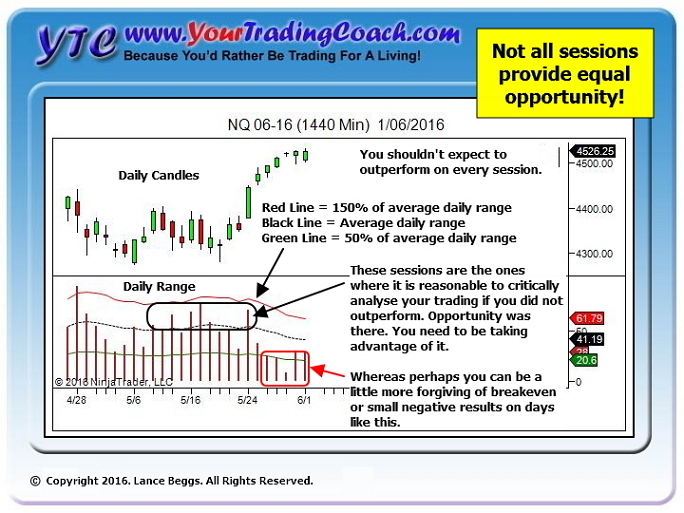 Of course, low daily ranges DO NOT necessarily mean a tough session. There are other factors involved as well. 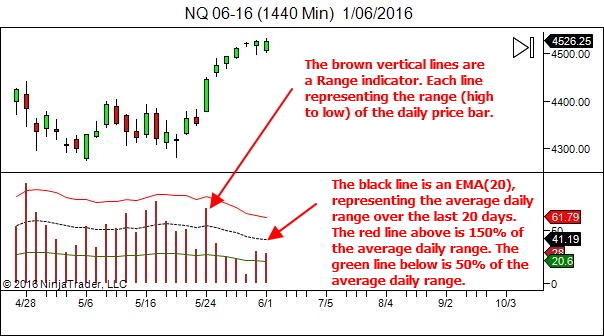 But for many of us, who operate a strategy that requires price movement to profit, there's a high likelihood that narrow range days are those that get on our nerves. 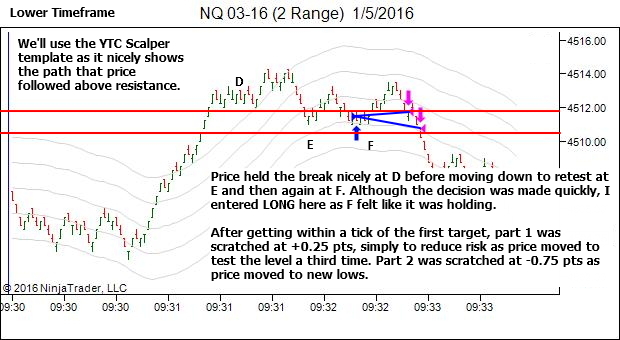 Narrow range = limited opportunity = frustration! It's completely normal. Narrow ranges are a part of the game. And we need to learn to work with them. We need to learn to profit over the longer time scale… comprising periods of both wider range markets and lower range markets. The good news though, if you're stuck in a period of quiet markets and narrow ranges, is that it won't last. At some point the markets WILL move. 1. Use it manage expectations. Some Days Are Just A Grind! I find it fascinating chatting with new traders in this industry. Typically when they come to me they've moved beyond the Holy Grail indicator and systems dream and have come to recognise that it's time to develop some skill instead. 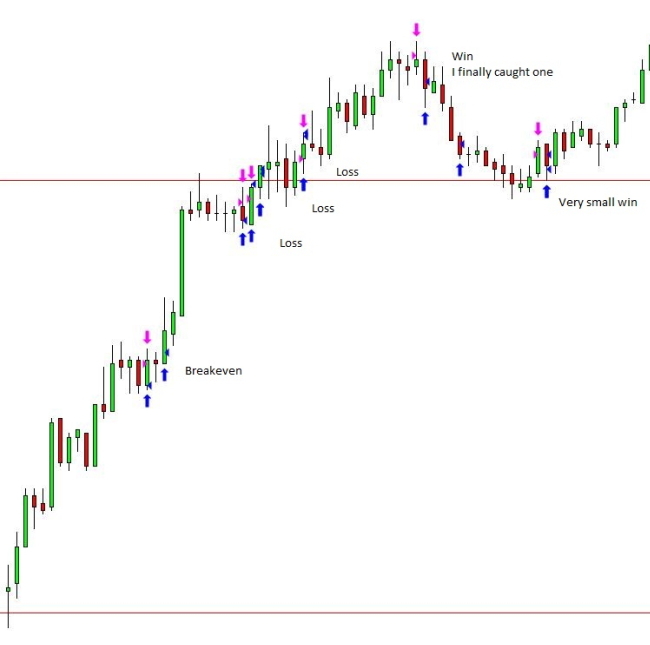 Skill in real-time reading of price action and market sentiment. What amazes me though, is the number that still hold some belief that once they learn price action, then the game will be easy. Here's a reality check. It doesn't get easy. You just get better! 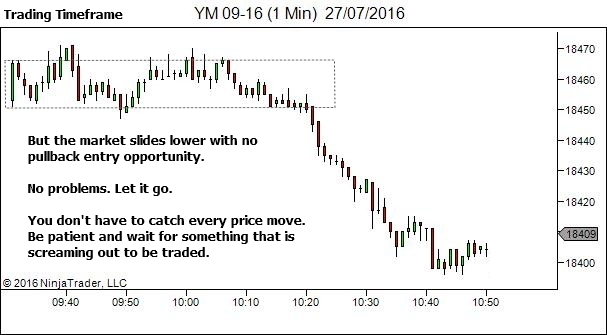 Sure, there are days when everything sets up perfectly and you're dancing in perfect step with the market. But there are also days when you're completely out of sync and just tripping over your own feet. And then there are the majority of days which fit somewhere in-between these two extremes, where you just do the best you can despite your imperfect decision making. Let's look at one of these days. A day when I struggled to maintain confidence in my read of the market; and a day in which I struggled to execute well. The result was a good profit (considering my poor performance). But it was messy. 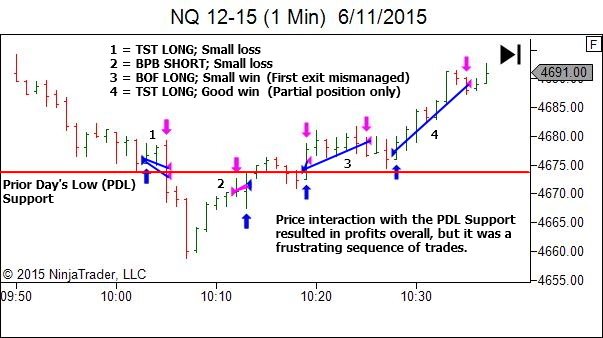 None of the trades were held for any significant distance, despite a nice trend. The session was a recent FOMC day. I don't trade post-FOMC. It's 5am. Seriously… there's a limit to how late I can stay up. 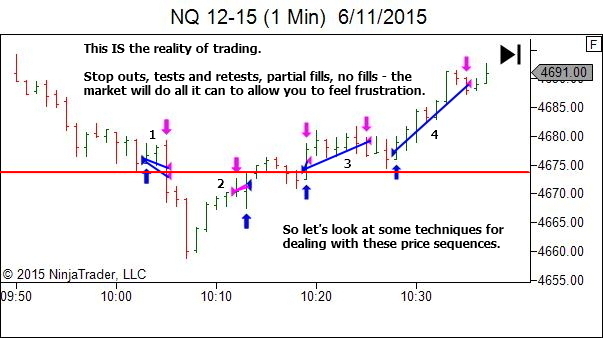 I do trade the market prior to the FOMC though… but this is carried out with CAUTION. 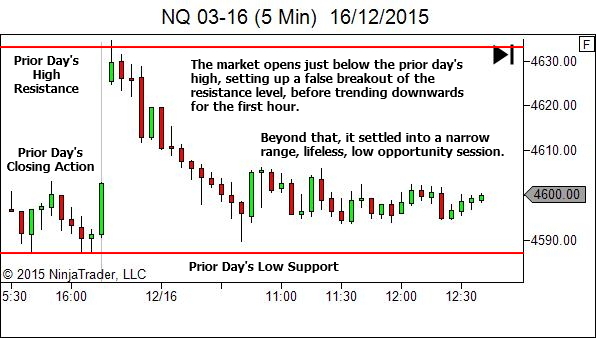 My expectation for a session leading up to a significant news event is for a higher probability of a narrow range quiet market. If that is what the market provides, then I have no interest in trading. Hindsight may well show there was opportunity available at the edge of the range structure, but I'd rather sit on the sidelines and survive to trade another day. 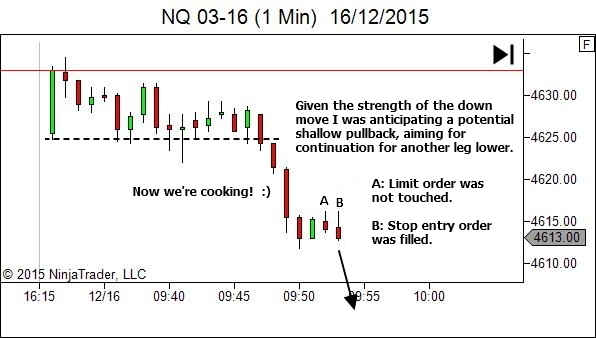 A good result would be quick recognition of the narrow range environment, and NO trades. However, if the market can show some directional conviction, then I'll trade this for as long as the directional move lasts and for as long as I have a good feel for the bias. And more often than not with reduced position size. Here's the 5 minute chart (Higher Timeframe chart) which shows the session open through till just after midday (which is all I trade). 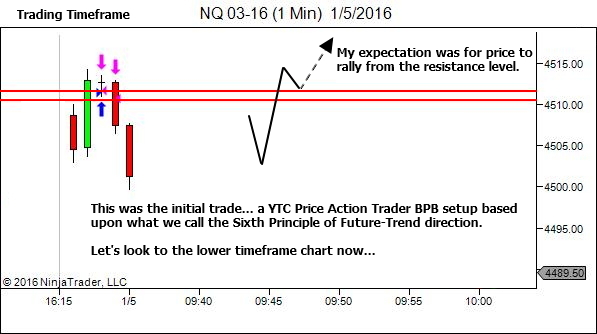 Let's examine the 1 minute Trading Timeframe trend within the first hour (and just beyond) and see how it was managed. The First Loss – How Will You Let It Affect Your Mindset? 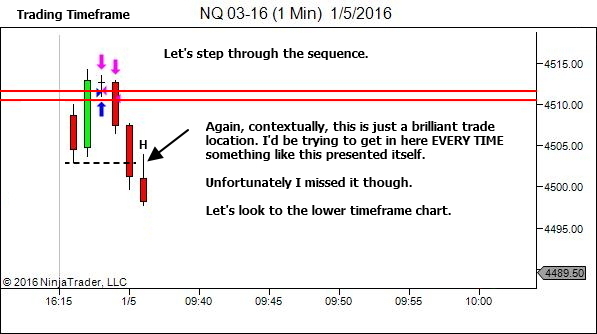 Last week's article led to an interesting comment about the sequence preceding the one discussed in that article. 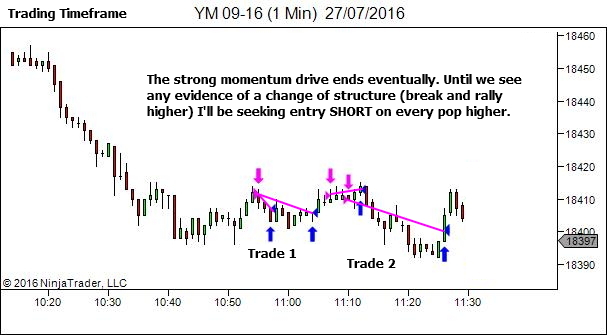 Check it out here if you missed it – How to Enter When the Pullback Shows Strength! The email feedback expressed an interest in the fact that the session started with a loss and yet I managed to quickly recover that loss. 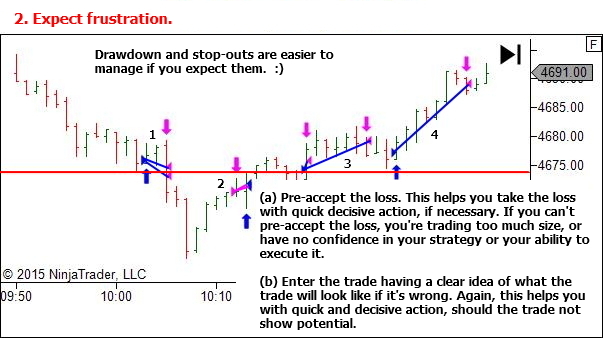 "I particularly like the way you showed how you were wrong on the long but it did not affect your session, you focused on the price action projected, possible scenarios and continued to do your job." So I thought we should look at this earlier sequence and see if there are any lessons available. 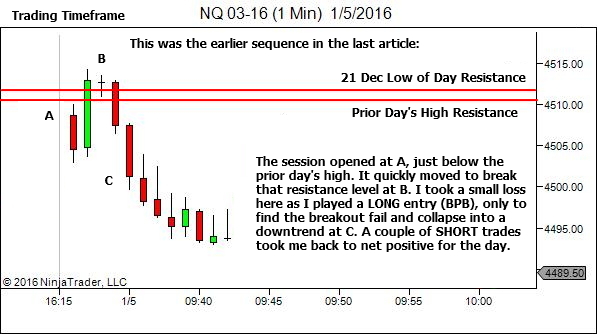 Let's begin with the trading timeframe, showing the price action which offered the initial loss and the subsequent two wins. Let's start by examining the LONG BPB trade. 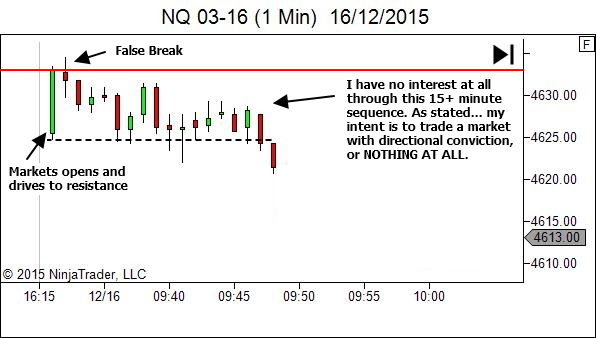 I'd love to be able to say I caught the SHORT entry as the breakout failed. But it was not to be. I was biased LONG. I was wrong. Loss was minimised though. So this was a good trade. Let's move on to the rest of the sequence. Q. What do you do during a session to maintain a positive trading psych mindset? What I do during a session cannot be talked about without also discussing the pre and post-session routines. It’s all a part of one whole approach. 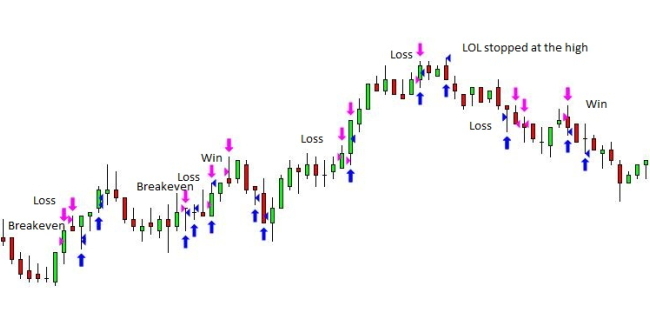 I've shared an image previously which I'll include here again, which gives a summary of how I see trading psychology (or performance psychology which is probably a better term). What I want to do today is to approach this question from a different angle, by listing everything I do with a performance psychology focus as I work through my pre, during and post-session routines. State Management – My aim is achievement and maintenance of my Ideal Trading State. 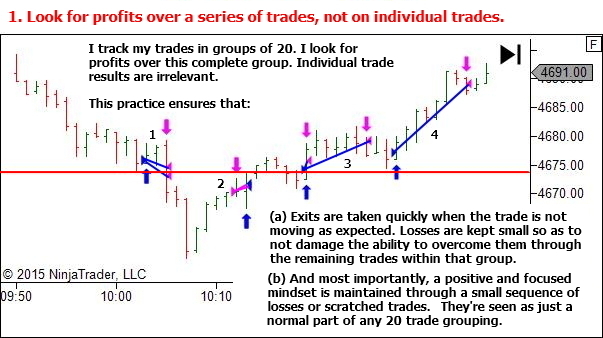 The Ideal Trading State will vary from individual to individual and will typically be found only through trial and error. But for myself, and I suspect most others, it's a calm and focused environment with no distraction. Focus on Process – My aim is to ensure I follow the process as outlined in my Procedures Manual. It's commonly stated that we need to trade without emotion. That is rubbish. You're human. You can't trade without emotion. Your aim instead should be to ensure that you follow process, despite the presence of emotion which might otherwise interrupt or interfere with your process. Everything I do pre, during and post-session is done with the intent of enhancing performance in one or both of these areas – state management and focus on process. Before I step through my routine though, let's first drop back a bit and set a foundation.